eCommerce Product Catalog is a higly customizable custom post types based WordPress responsive plugin which allows you to manage and sell products through WordPress website. 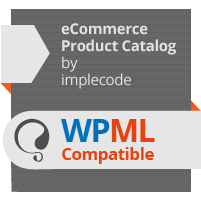 eCommerce Product Catalog is fully compatible WPML plugin (The WordPress Multilingual Plugin). It will make your product catalog multilingual. To get started, you will need WPML and add-on Plugins i.e. the core WPML Multilingual CMS which is always required and the String translations add-on. Guide for installing & activating WPML is available on the WPML getting started guide. 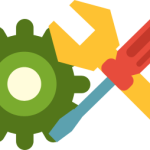 Once you installed WPML and enabled products & product categories translation in WPML settings, you can add products in different languages. Whenever you add a product you can now select in what language it has to be published and WPML will do the hard work for you. With the String translation add-on you will be also able to translate eCommerce Product Catalog front-end labels and currency. You can also go to WPML > String Translation to translate the output generated by product settings. The main catalog listing page ID has translations added in the WPML string translation module. When you go to WPML string translation you should look for product_archive_page_id setting. It will contain your main catalog listing page ID. Please add the correct page IDs to each language. If you still have any problems with the translation pages please try to switch the main product listing page to default in catalog settings.